Although I typically think of crumbles as winter desserts, these apricot and pistachio crumbles are serious contenders for my favourite summer pudding. I can't stop making them. Or eating them. Mum came back with a load of fresh apricots from the market the other day. Apricots are big business in our valley - there are dozens of farms that line the bottom and sell their produce in little stalls by the road. They're gorgeous. I love seeing all the fruit trees on the mountain side, sharing with the wine vines, heavy with bright fruit. 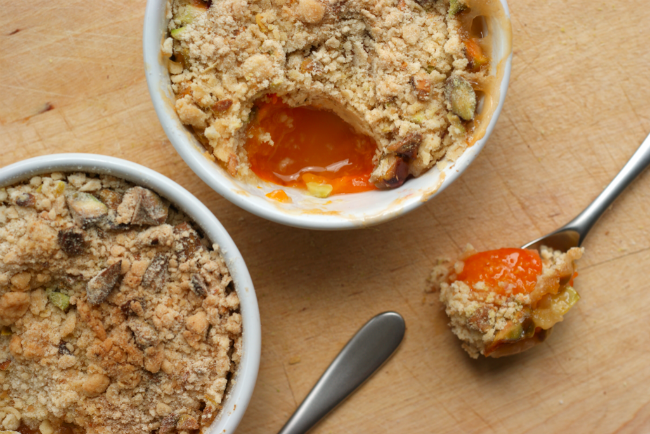 Apricot crumble seemed like a great way to use some of them up. The combination with pistachios is wonderful, so I incorporated them into the topping (which is divine in itself). 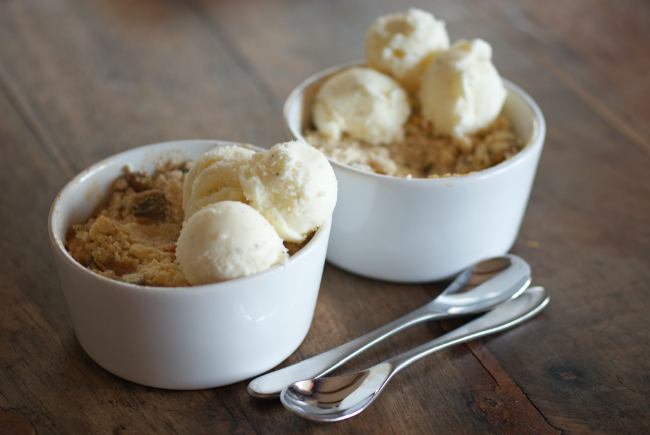 Of course you cannot have crumble without ice cream. I like vanilla with most of mine - this is a light 'Philidelphia' style ice cream that's perfect for summer. 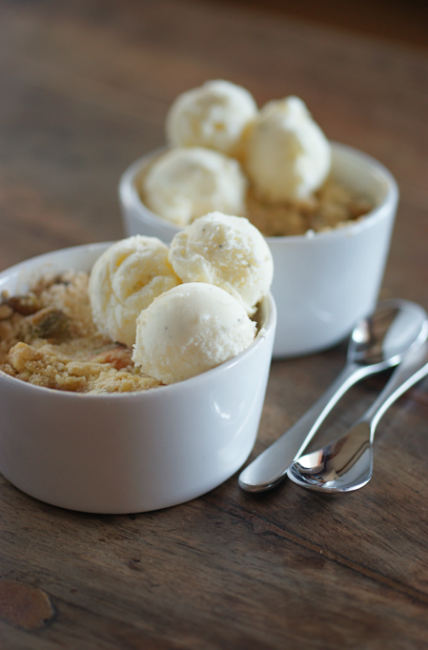 In the autumn I want to try cinnamon ice cream with apple crumble. I discovered that a melon baller makes perfect little portions for individual ramekins - cute, eh. I also make a bigger one each time (I've made this recipe twice in the past ten days... who is for lunch-pudding and supper-pudding?). Because I can't get enough. You could do the whole recipe in one bigger dish, too. 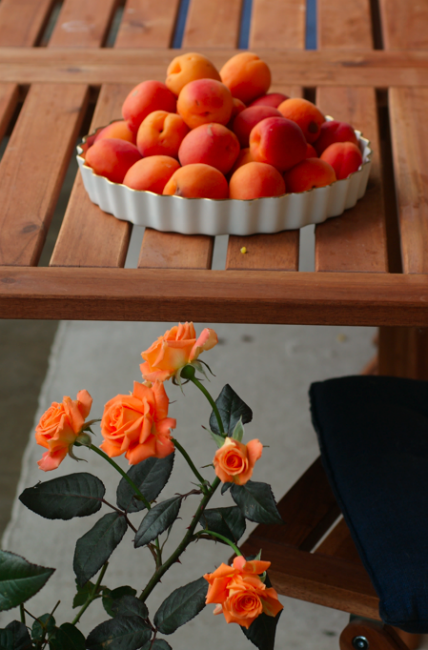 The apricots go gooey and sweet and keep their stunning colour. The pistachios meld beautifully with the flavour of the apricots and the ice cream is light, full of vanilla and just completes the picture. Preheat the oven to 180C/360F. Put the plain flour and baking powder into a bowl and mix them up. Add the butter and rub it in until it looks like crumbs. Stir in the brown sugar and salt. Roughly chop up the pistachios and stir them in too. 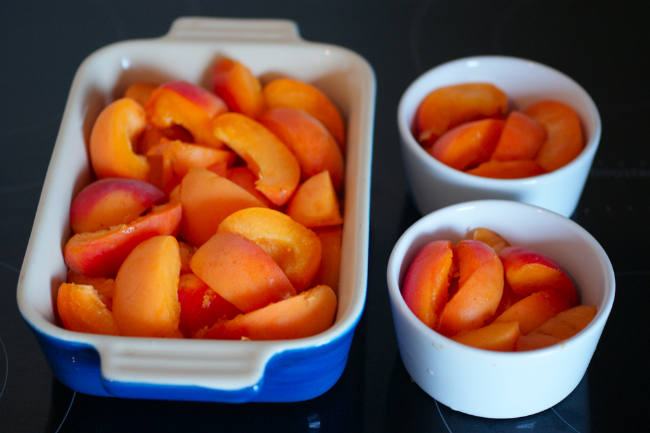 Get your dishes together and slice up the apricots and arrange them in the dishes. Sprinkle a tablespoon or so of sugar over them, or more they're a bit sour. Spoon over the topping evenly. Put into the oven and bake for about 45 minutes or until golden brown and bubbling around the edges. Pour half the cream and the milk into a saucepan with the sugar and salt. Scape the vanilla seeds from the pod and add them, along with the pod itself. Warm until the sugar has completely dissolved. Take off the heat and stir in the other half of the cream and the vanilla extract. Pour into a jug and chill throughly (overnight if possible). Just before churning, give it a good stir and remove the vanilla pod (you can rinse and dry it for another use, such as vanilla sugar). Freeze according to your maker instructions. Great!! I'm a pastry chef and have apricots at work to use up and plenty of pistachios. Can't wait to try this. Sounds like a perfect combination. 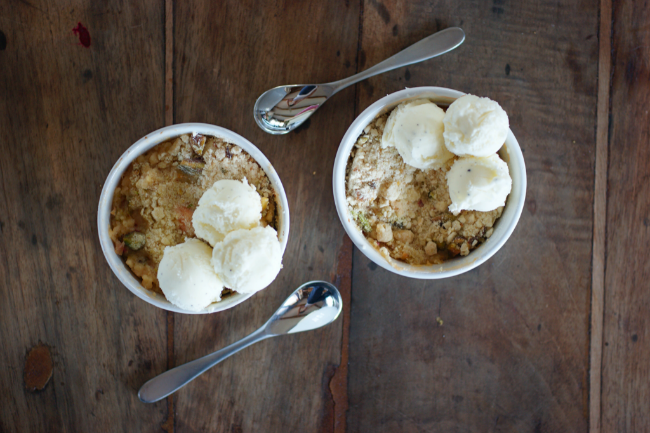 That crumble looks delicious and does sound great for the summer! Emma, how beautiful this is! I agree that apricots are exceptionally pretty. You are so fortunate to have really fresh ones locally available. Ours come from across the country, when we do get them. 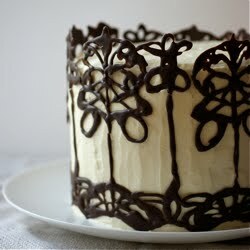 What a lovely dessert, and not too "wintery" in the least!